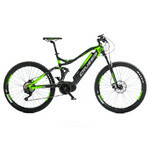 E-bike for challenging terrain, BROSE center drive, Rock Shox suspension fork, wide Schwalbe tires, extremely lightweight, hydraulic disc brakes. 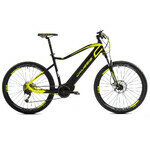 Mountain E-Bike 4EVER Ennyx 1 27.5” – 2018 is perfect for the of long trail rides, downhill rides and challenging uphill rides. This universal bike can be used all-year-round and in any weather. The 250W, high torque BROSE centre drive ensures top speed of 25 km/h. Built into the frame, the high-capacity battery allows for the distance range of 120 km, thus taking you wherever you wish to go. The drive is activated when you start pedalling (there is a pedalling sensor). The smooth and quiet running is a must. The cycling computer displays all the important information, such as current/max/average speed and overall/daily distance. 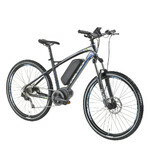 Mountain E-Bike 4EVER Ennyx 1 27.5” – 2018 also has a modern frame design, balanced center of gravity and top components made by world’s most famous manufacturers, providing quality and durability. 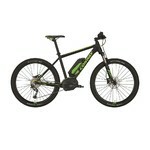 You may also appreciate the top class Rock Shox suspension fork and 11-speed Shimano gear shifter. The extra wide 27.5+” Schwalbe tires will deal with any terrain, always sticking to the surface. 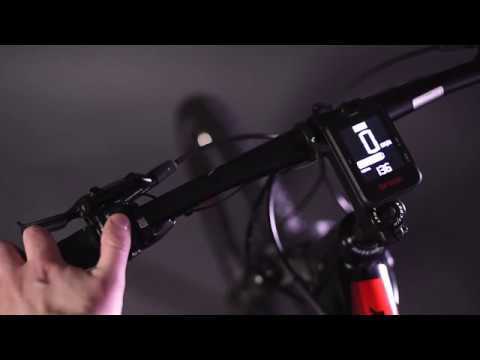 If you are a cycling freak, Mountain E-Bike 4EVER Ennyx 1 27.5” – 2018 is just for you.